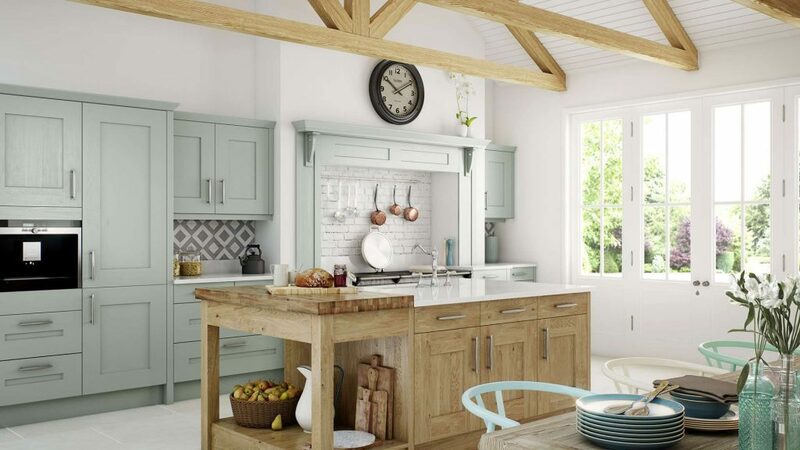 The classic Clonmel oak kitchen is complemented and enhanced with the addition of prominent painted parts. 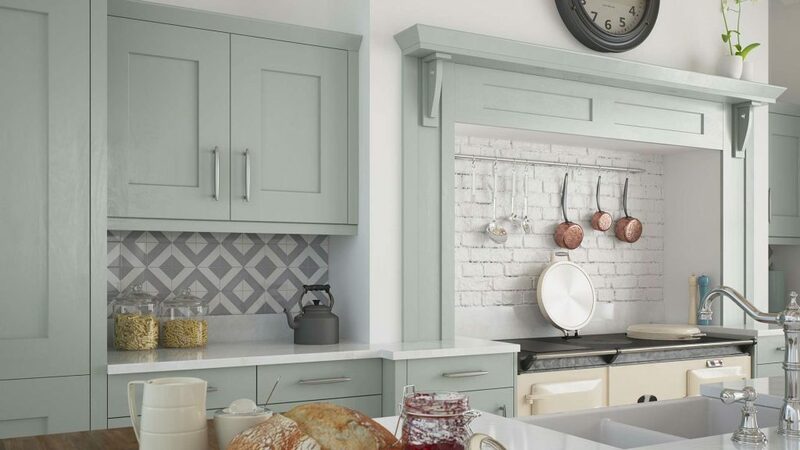 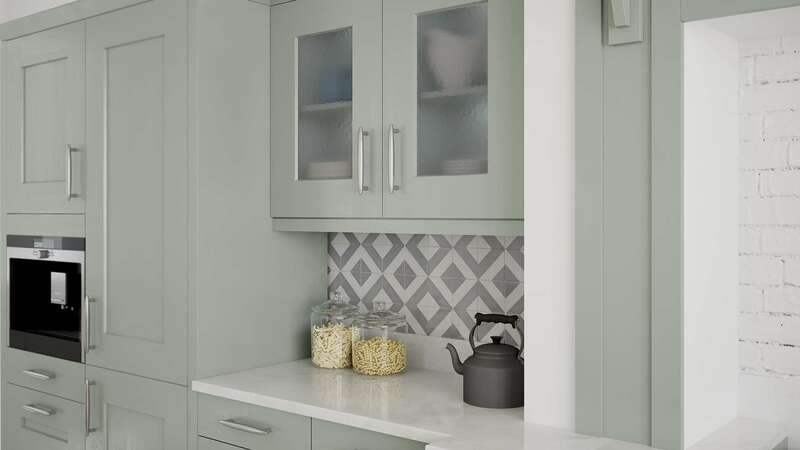 This chunky shaker design is brought to life with a stained and painted finish. The trademark timber framed doors are truly high quality.